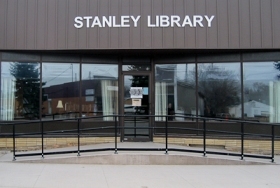 Mrs. Tronset’s second grade class visited the Stanley Public Library on Wednesday, October 24. After a tour of the library stories were read. The class had time to browse the bookshelves and play with the library’s games and puzzles. The students then left with library souvenirs!